Ever since I gave birth to my daughter 7 months ago, I have been trying to live a healthy lifestyle by going to the gym and eating healthier meals. My friend Honey Teodoro blogged about LOW SALT Advocacy (PHGR) of some of the restaurants around the metro. One of them includes Pancake House. I have been a loyal customer of Pancake House mainly because I love American food, particularly waffles, burgers and steaks. But when Honey, blogged about Pancake House’s Low Salt meals I was curious enough to try it. 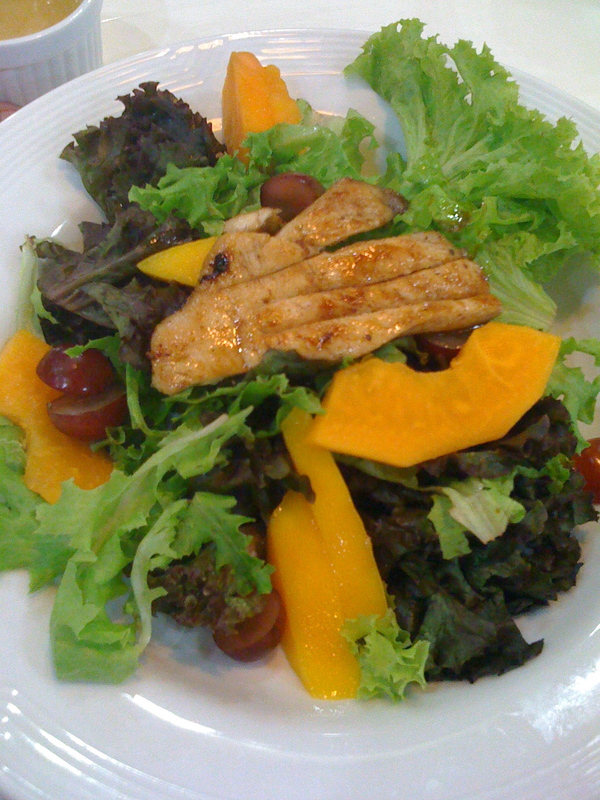 Anyway, I tried the Grilled Maple Chicken on Fruity Salad. If you’re used to eating salty foods (like I am) then at first you might have the urge to ask your server for a table salt, but after the first bite it completely changed my mind. I found the dish less flavorful at first but then I realized that I eat too much salt and that the taste of the dish was just right. It’s not bland, the chicken is juicy enough that no additional seasoning/salt is needed. The salad dressing is fruity but not that sweet, its taste blends perfectly with the greens. Just enough flavor to give your tongue something to savor. Over-all it’s good for your health (you’re kidneys will thank you) and easy on your budget. Good job Pancake House! My sister Kim has influenced me on eating yogurt & I must say that ever since my introduction to it, I’ve been liking yogurt more than ice cream. Sorry I wasn’t able to take pictures of Gurt’s Yogurt menu. Basically the taste was okay and it is more delicious than the good old yogurt. So I ordered the regular size for P70+ to try. If you’re a fan of sweets (like I am) then you would find Gurt’s yogurt sour. But if you top it off with something sweet then it makes a big difference. Heehee. 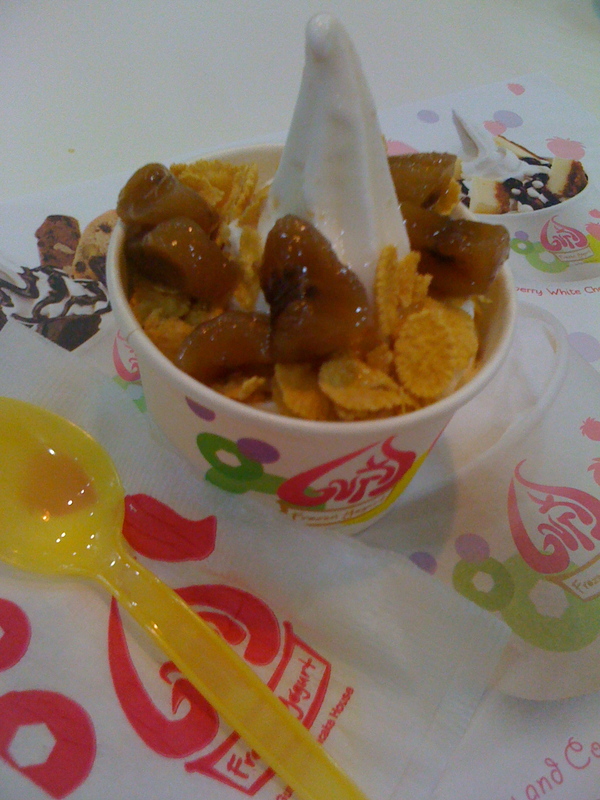 As for the toppings, each topping is at P20, I was quite disappointed on how little each serving of toppings are. Also, they only have limited toppings to choose from but what I like about it is that they have unusual toppings such as sweetened saba. My fave! Yum! My Pancake House experience over-all was about healthy eating and so far I am glad that restaurants in the Metro are slowly becoming part of the advocacy for healthy eating & healthy living. 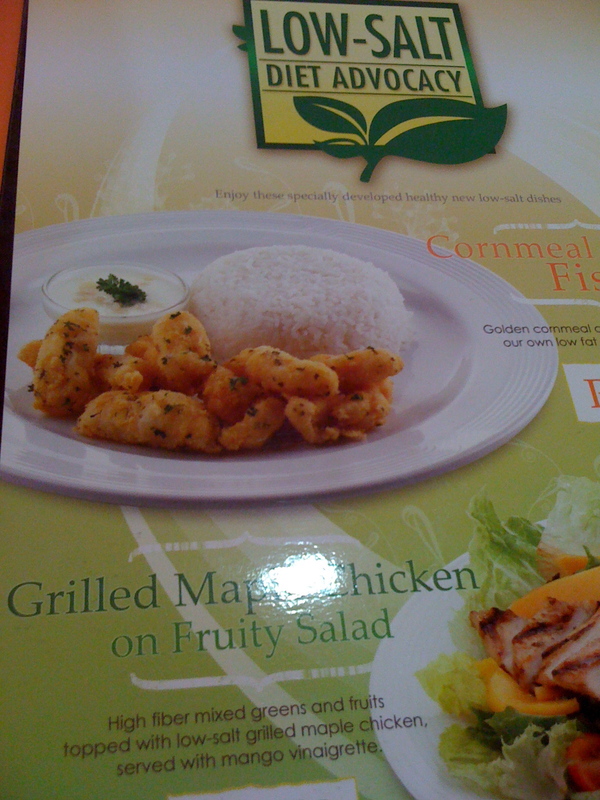 I wish that more establishments would create healthy menu that is satisfying and right on the budget. continue on with that and eventually, it’ll come naturally and be part of your everyday routine. i know it takes time to get used to eating healthy stuffs (specially for us who got accustomed to SALTY foods) … but let’s just think about our families. right?